In this case, groundhog symbolism is asking you to explore altered states of consciousness more deeply. By doing this, you will be able to find your answers within yourself. However, you just have not dug deep enough to find the root of it. This rodent can also be letting you know that you need to pay attention to your metabolism. Be aware of how your diet influences your natural bodies cycles and to make dietary adjustments to balance the workings of your body. Similar to the tick, groundhog symbolism can also be giving you fair warning that you have overstepped someone’s boundaries, or someone is overstepping yours. Best is to resolve the situation with respect and from the heart. When you have a groundhog dream, it denotes that sly enemies are approaching you. Usually, they are women of fair complexion. 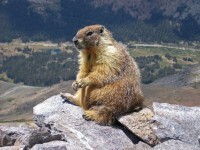 For a young woman to dream of a marmot, it foretells that there will be a temptation in her future. Like the platypus, your dream represents subconscious information that is coming to the surface. Thus you are now ready to integrate it. I work as staff, caring for a person in her apartment. She lives in a very grassy, squirrel friendly set of seniors apts. This morning we saw a huge groundhog happily munching on grass from her kitchen window. Later this afternoon (12 hour shift) I was alone in the kitchen in front of the windows, right near the door. A blur in the corner of my eye caught my attention so I looked out and not a foot from the side of the building, looking in the window at me, was the groundhog! I got a really good look at him then he moved over near the door and disappeared into the rose bush. Was I sent a message from a groundhog spirit guide? Have a groundhog that lives on our property, though he used to always hang in the woods, he has recently burrowed under the front deck. A few days ago when I came home, he was waiting for me on the porch. Today he was sitting on one of the benches for the majority of the day, even though it was raining. I have been having very vivid dreams the last week, but only about Tom Petty. It seems more than coincidence that my furry friend is showing himself so often, so close, but I can’t make heads or tails of it. I mowed the lawn a week ago. I came out today to mow again and I find a groundhog dead on the outside of my back fence. It’s belly up and decaying. Didn’t really look like it was eaten, just rotting. Seemed strange. A groundhog just sat with me for meditation in the garden. I was looking deeply within about some crazy dreams. Asked for a sign and out he came. Funny. I just ran over one!😢😢😢 I tried to go around him, but he ran the way I thought he wouldn’t go😢 What’s the meaning? I just hit a woodchuck too…he stepped out in front of my car on a major road. A few days later I had a car accident. The strange thing is that many years ago the exact same thing happened. Someone rear ended and almost killed me when I slowed down to avoid hitting a woodchuck. Strange strange strange. I am spending time with my mother in law during palliative care. Her room has been very hot and stifiling. I opened the blinds…..right outside her window is a groundhog. We have been here a week. First sign of wildlife. Very strange. Feel it’s a message for me…..
Well I have a weird landlord that has been in my apartment….which I knew all along. I was in meditation and the word woodchuck came to mind…not willing to dismiss it I decided to look it up. Coincidently, my landlord’s name is CHUCK. Lol. If that is by chance. Anywho, I’m definitely taking this as a sign. I had a dream about a beautiful indoor swimming pool, very clean, clear water in it. But also numerous groundhogs were around it and swimming in this pool. I was interested and happy to see this. The pool was surrounded by a healthy vegetation like an indoor terrarium. I thought it was beautiful. Across the pool I think I spot an alligator, I have to look a few times then I realize it is not an alligator just they way some golden plants formed to somewhat appear in the share of an alligator. I run a large commercial facility that I also live at….large boulders that naturally attract these animals….long story short. I had 2 “teenagers” as I will call them. Very young this year and one was eating all my planters and totally UNAFRAID OF ME. We had a go around …me yelling at it…it chewing a flower 2 ft away from me looking at me..unimpressed. LOL Sooooooooo then.. I had a dream of a groundhog, he kept following me. He also would get on my back as if it was piggy back riding. The next morning I woke up and went outside. I looked to my left and standing there was a groundhog. Does anyone know what this might mean? I’m responding because I had a similar dream. I had a dream groundhogs kept getting in my house. There were 10 at one point, and one kept wanting to be picked up. Weird how we both had a similar one. I discovered a dead Groundhog/Woodchuck in my neighbor’s yard today. Apparently, it had been eating her flowers for the past couple of months.. She had tried to catch it a few times, but it would always get away by scurrying away underneath a wooden fence. I suspect that it was probably poisoned, but I’ll never know for sure. Could’ve been old age. Yesterday when I was sitting outside a groundhog was like on a mission coming to me when I looking at him/her. He was close for a while then ran away. What does this mean? Had the worst end to 2015 and bleak, terrible start to 2016.. shocking death, personal attacks, injustice, money downfall (thankfully just scraping by due to the love of close family)… still in court “battle” with monstrous people involved who are unjustly influencing outcome on personal and monetary things.. really testing my ability to not commit murder. And through this, seeing groundhogs… have a couple living under my house this year. Any ideas? Thanks. Hope everything is alright with you now. I know this comes almost an year after your comment but I just wanted to say that from what I’ve learned in life people just want to take energy of you when they start unfair battles. I’m not a budhist but I can understand their perspective to forgive the enemy, but I wouldn’t go that far but if we can keep ourselves centered and avoid getting hurt by those people they can’t take away what they’ve came for whatever the results they gain in the material world. F them, I hope yours life turns out OK! Good luck! I looked out my kitchen window and saw two small birds mating. 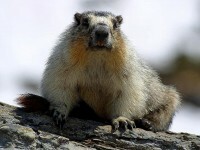 Then, I happened to look out a window at the front of my house and a male groundhog was trying to mate with a female. I am a Medium getting ready to go back to work but I doubt my abilities after several years of not working. The Groundhogs have taken up residence on my property. I do not have a garden. I am clairaudient but have never really gone into a trance. Any insight you can give me would be appreciated. Being asked u take more care with sleep. U were busy this winter, mentally, impeded by snow. Mind unable to rest fully. Feeling fatigue. Research pink rock salt, electrolyte balance. I found a perfectly intact ground hog , dead in the garden….What does this mean? Wish. I knew, I have. Beautiful young ground hog dead by my pool…. although not my favorite creature it is still disturbing to find…..